From the fantastic to the frightful! Welcome to our Halloween Packaging Showdown! 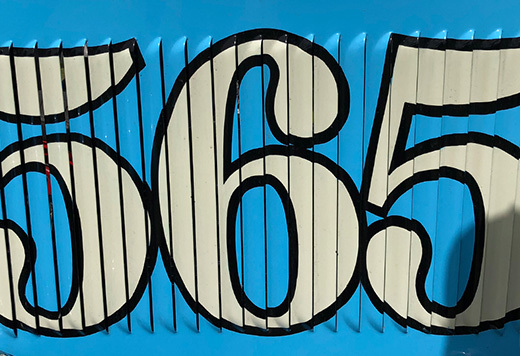 We have scoured the shops and picked up all the Halloween goodness we could find in order to show you which brands have been getting into the spirit… but first we take a quick look at some facts and figures… frightful! Every year more and more people buy into this seasonal event. In 2016, consumers spent £310 million on Halloween goods according to Mintel, and they are forecasting a 3.2% increase in 2017 up to £320 million - scary stuff! Halloween, traditionally a US holiday, has now seen an increase in UK consumers spending money on the event - 46% did so in 2016, up from 39% in 2015. Reports show that one in six are spending more than £50, with one of the highest spending groups being parents. As you’d expect the confectionary aisle has a strong showing, with Cadbury’s, Mcvitie's and Premier Food’s Mr Kipling leading the charge. 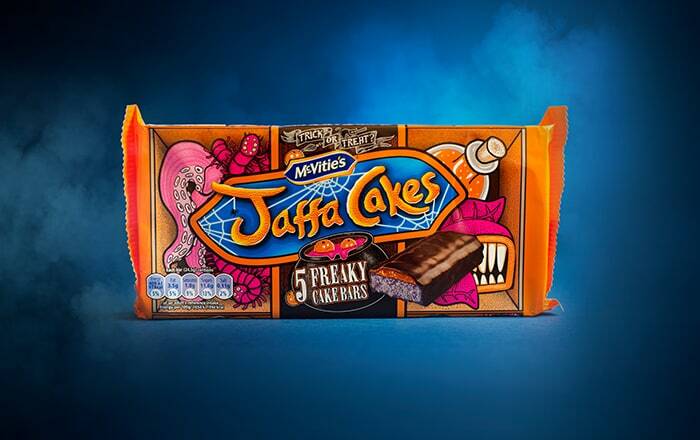 Jaffa Cakes’ Freaky Cake Bars have chosen a detailed illustrative route that depicts luminous potions and creepy-crawlies, a theme they have carried across to their Lemon & Slime bars and Hobnob range. We particularly like the sponge in the bars being a ghoulish purple - a nice touch. 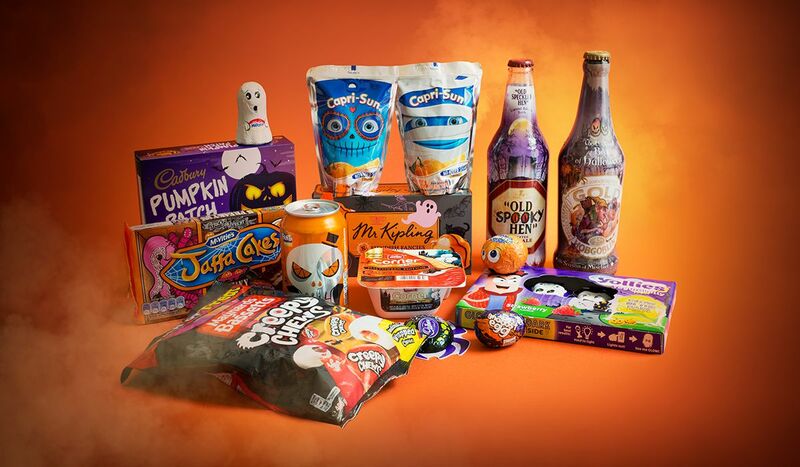 We also managed to find a number of products in the drinks category, with soft drinks Fanta and Capri Sun catching our eye, along with Old ‘Spooky’ Hen and Hobgoblin in the alcohol aisle. 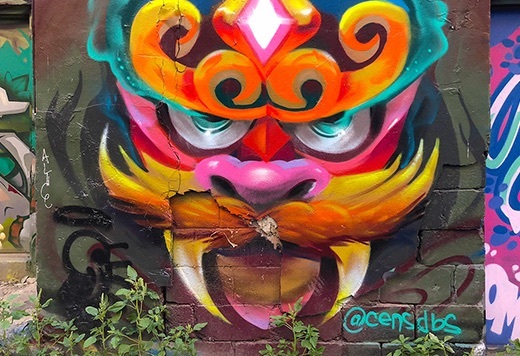 We are a big fan of Fanta’s graphic vector style cans, designed by illustrator Noma Bar. Fanta have also gone a step further to capture their target audience by introducing Halloween-themed Snapchat filters and lenses, which will change daily throughout the campaign to encourage repeat purchases. 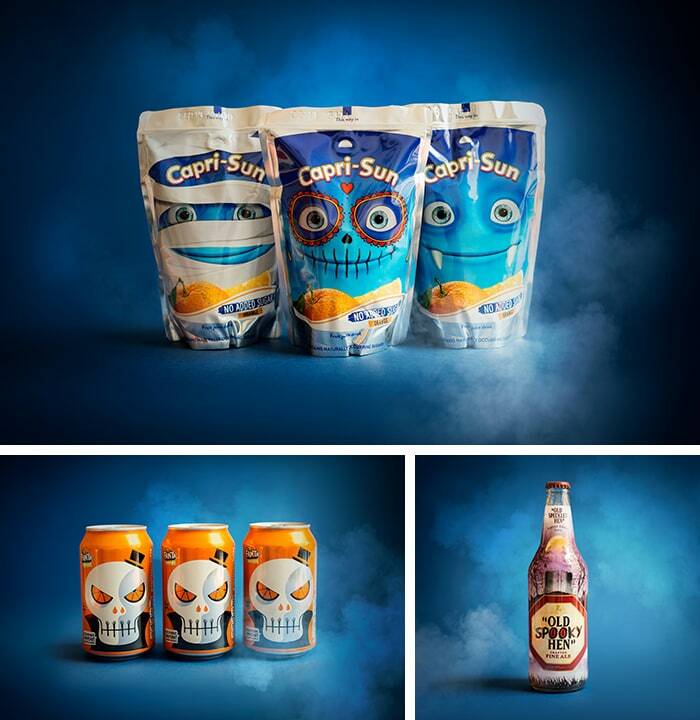 For Capri Sun’s limited edition pack the outer box has been tweaked with the standard haunted scene of bats and a spooky house, but the real fun is the frightful characters on the pouches. There are five different versions, but our favourite has to be the Day of the Dead inspired character. The final category that has fallen under the Halloween spell is, rather aptly, the chilled aisle. While Muller Corner has put in a strong effort we actually found ourselves preferring Kerry Dairy’s Yollies. Despite the outer box design sticking solidly to the haunted house trope, the introduction of the glow in the dark characters is sure to be a hit with kids. 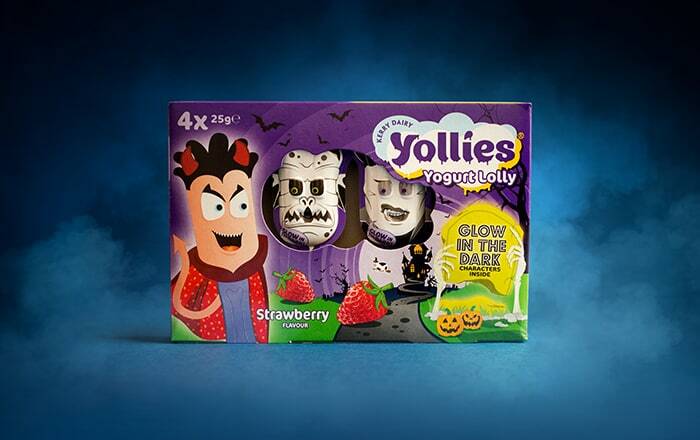 Although we can’t help but feel for the parents who having removed Yollies from the dark depths of the fridge will frantically be trying to expose them to light long enough to charge the glowing ink. So is getting your brand involved in this spectacularly spooky seasonal shindig worth it? Absolutely! 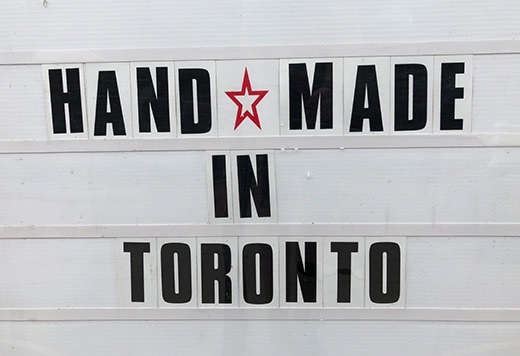 With the category growing every year it’s a perfect time to show a more gruesome side to your brand, but there are a few things you can do to maximise your efforts. The first would be to go all in, the most effective packs we’ve seen are the ones that have fully embraced the occasion. Combining a subtle but ghastly product name change, a truly monstrous pack design and if possible, creating a terrifying twist on the product itself. We also recommend going the extra mile, whether it's glow in the dark ink or spooky Snapchat filters, Halloween is all about the new and the novel so doing that little bit extra can give you the edge. And thirdly, hire the experts! At Q+H we have years of packaging experience and know just the thing to shock and delight your customers. Check out some of our packaging design work here.